Microservices within a distributed environment is nothing new. But nowadays, when you design a microservices environment, you have to take more into consideration than just the software itself. Designing a distributed application within stateless and immutable environment can be challenging. In this session, we'll share our experimentation with SPA, monitoring, architecture, services design, release management, systems deployment, job executions, authentication, and more. 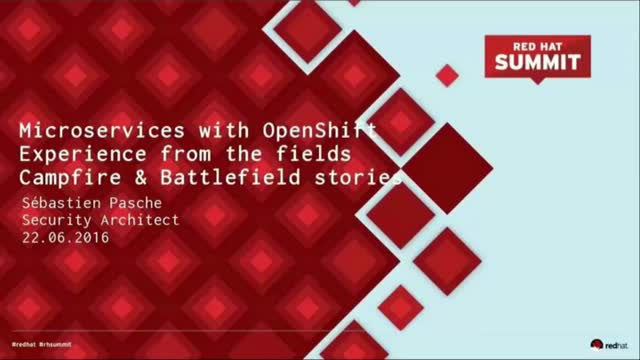 We'll also share our experience splitting a 5M line-of-code app into more than 300 microservices running on OpenShift and Docker. We won't share an absolute set of rules, but what worked for us and what didn't.